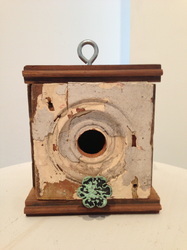 Bird Houses - EMILIE DAY CORREA, ED. 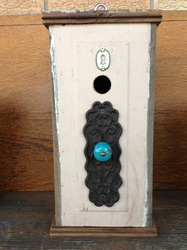 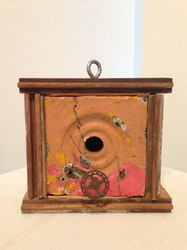 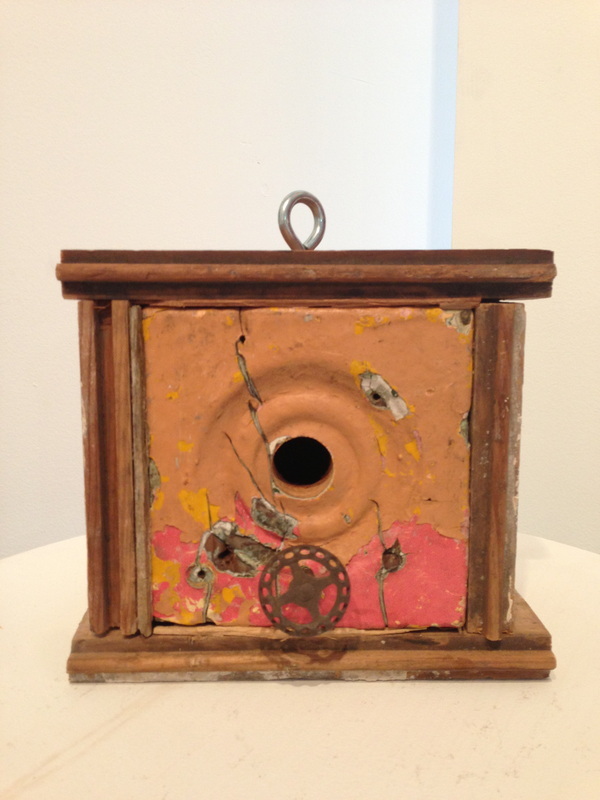 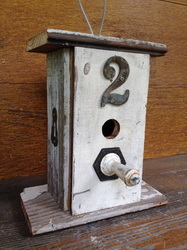 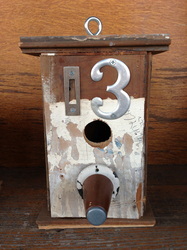 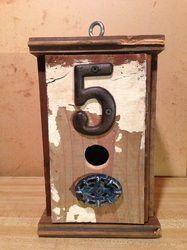 D.
Shabby chic is redefined in my latest series of bird housing, Humble Abodes. This new bird housing development aspires to reuse, renew, and recycle building materials to provide a rustic cozy shelter for the aviary community. 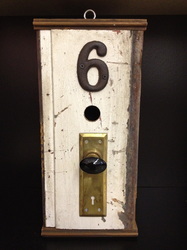 The wood I have used comes from the original wood floors of the Merchant's Block Building in Waukegan, Illinois which was constructed in 1925. 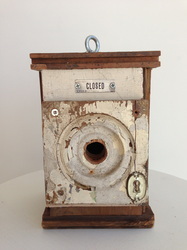 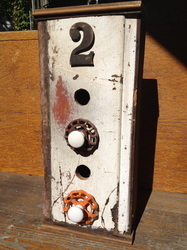 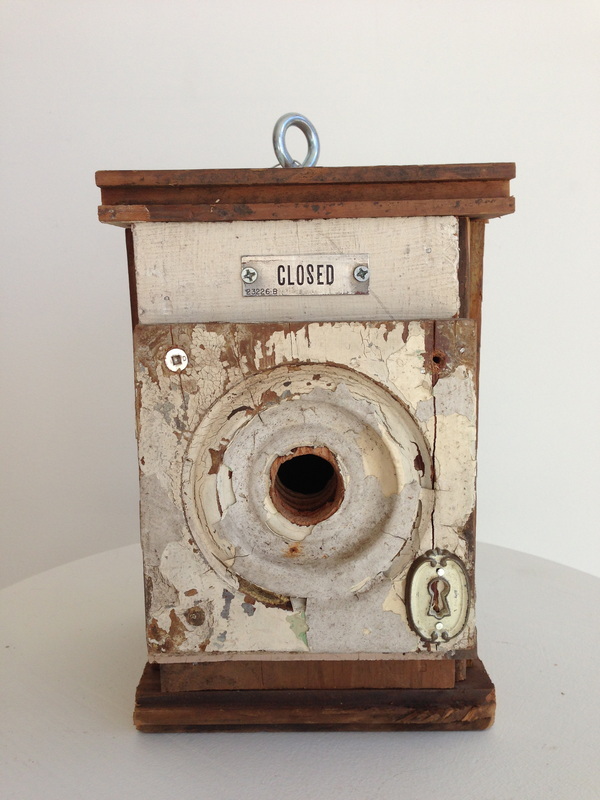 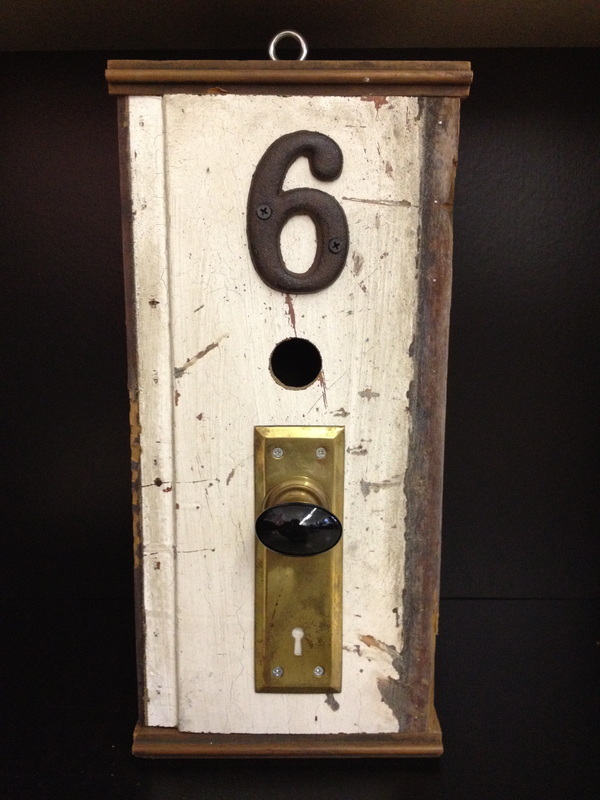 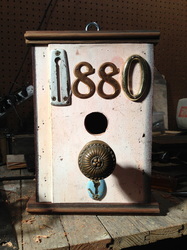 The hardware and other accoutrement come from various antique shops and salvages. 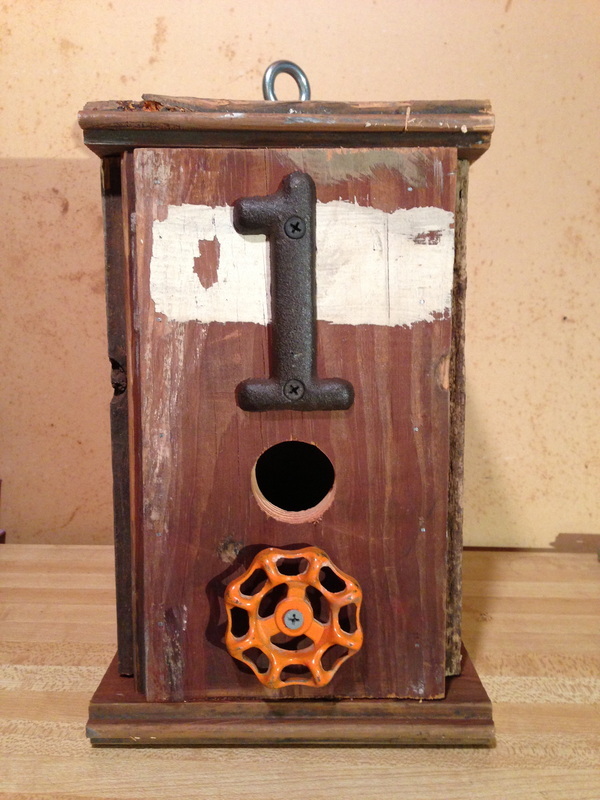 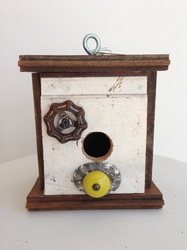 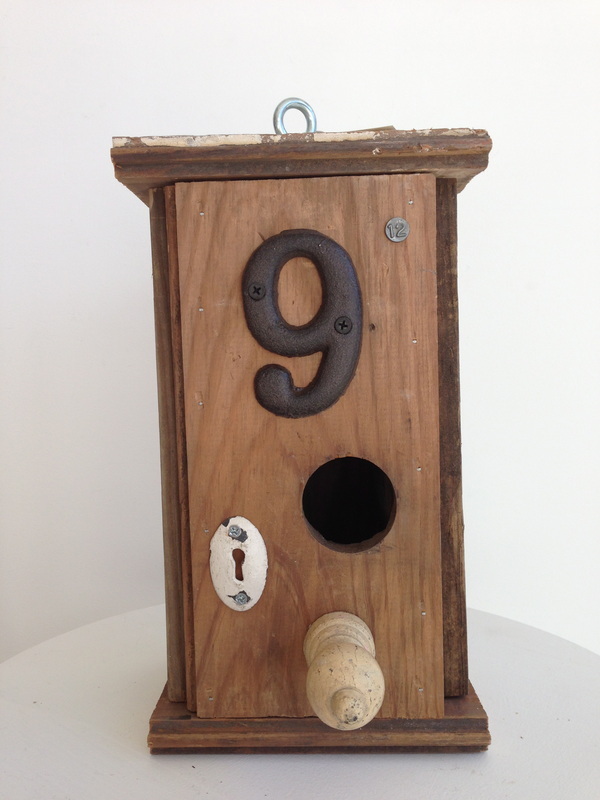 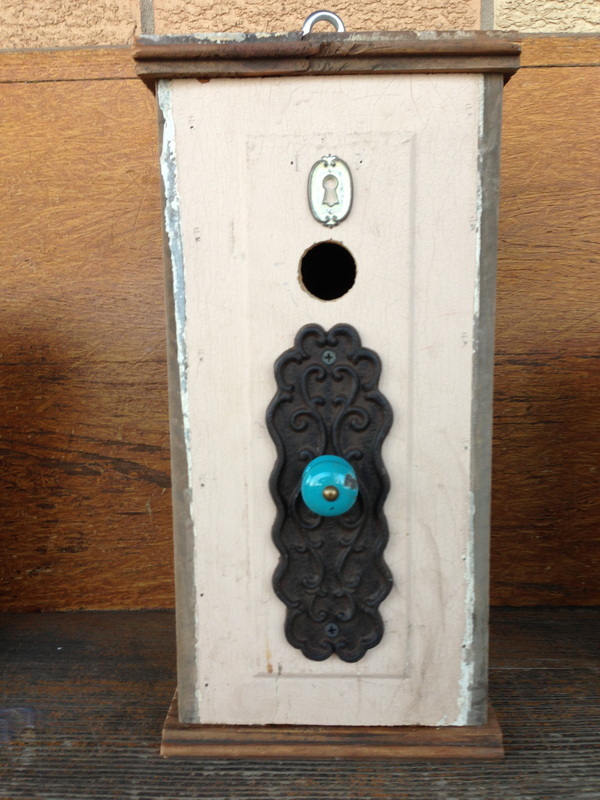 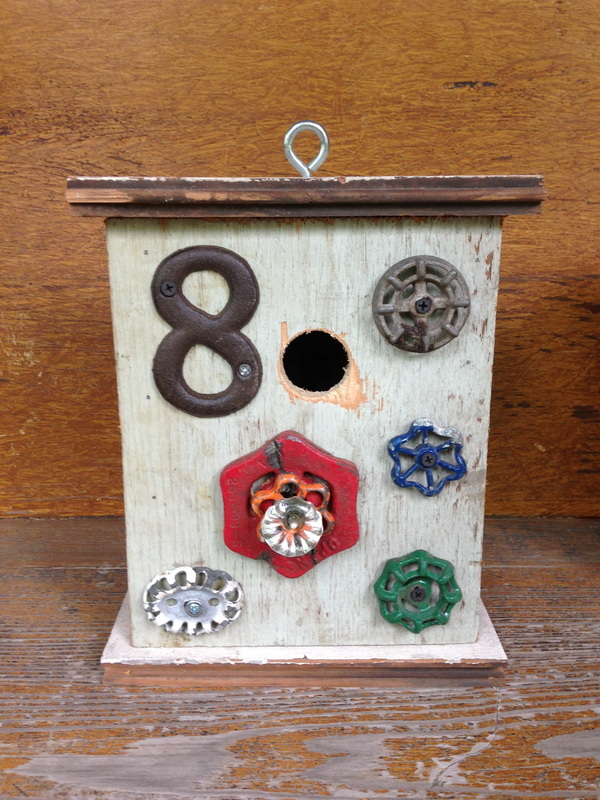 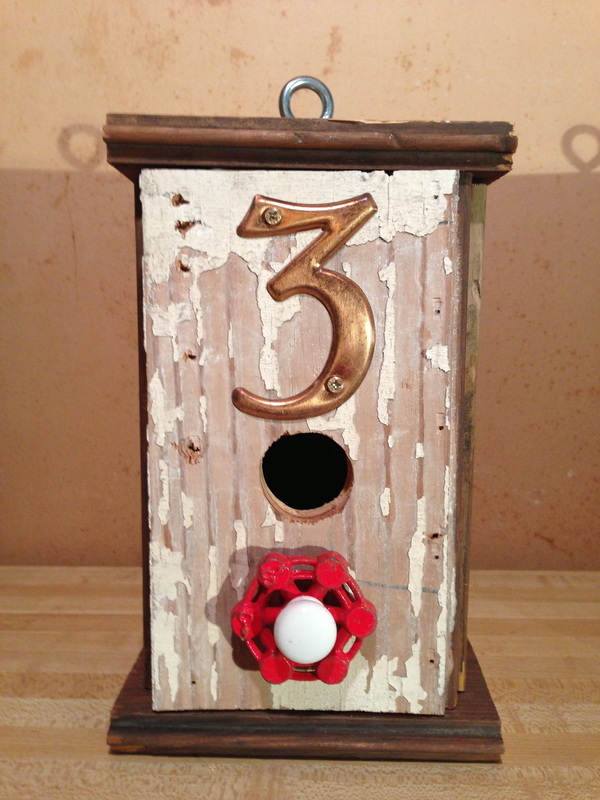 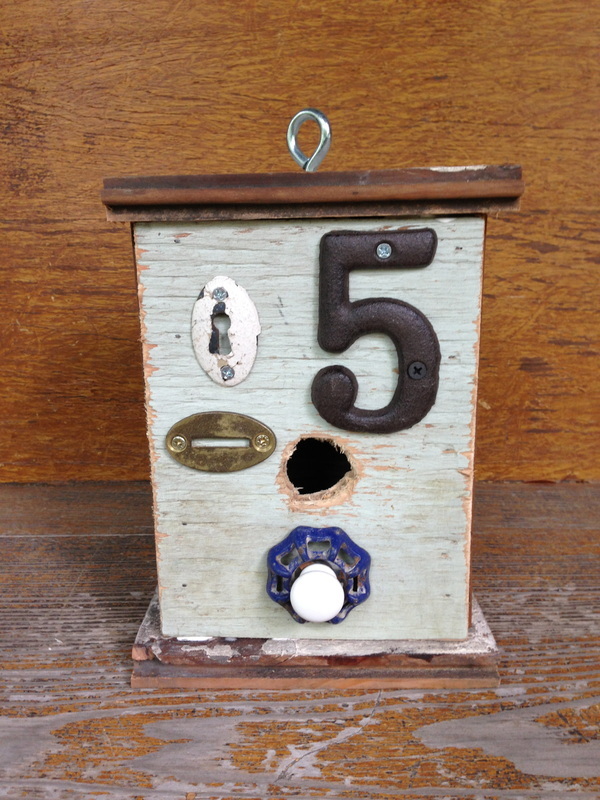 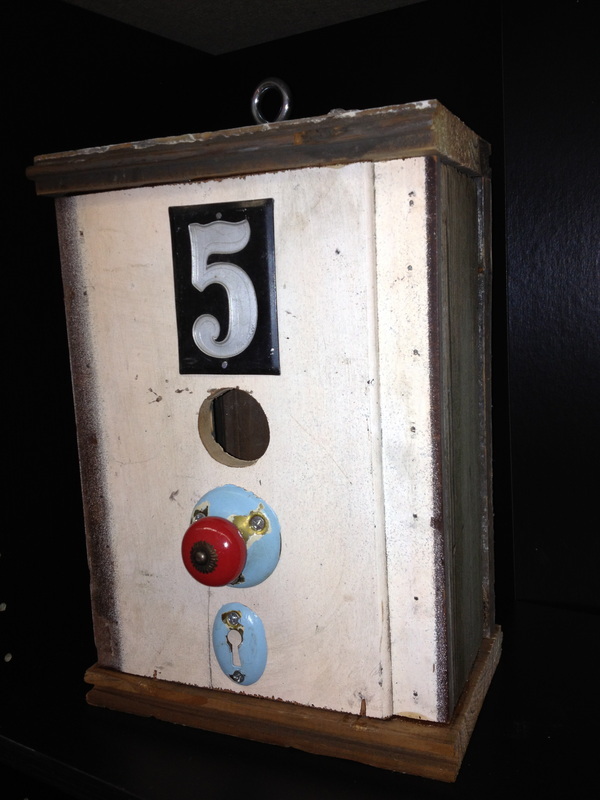 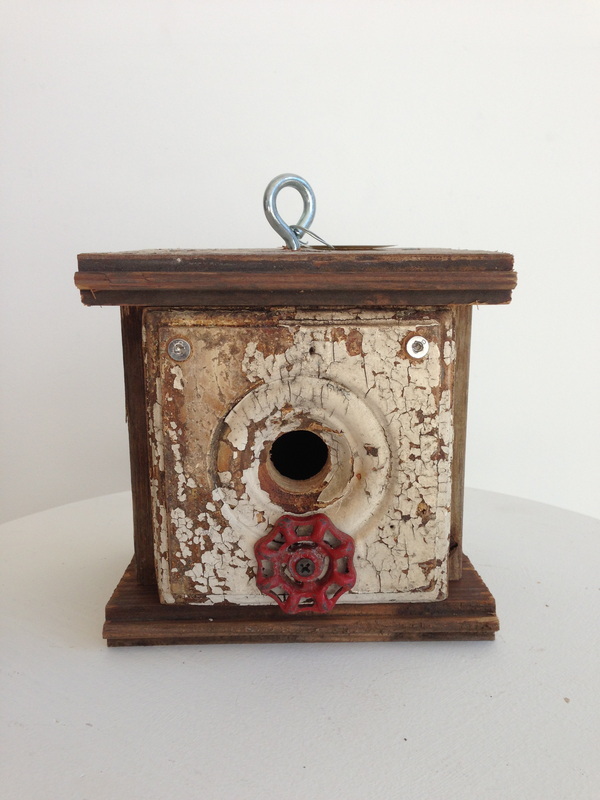 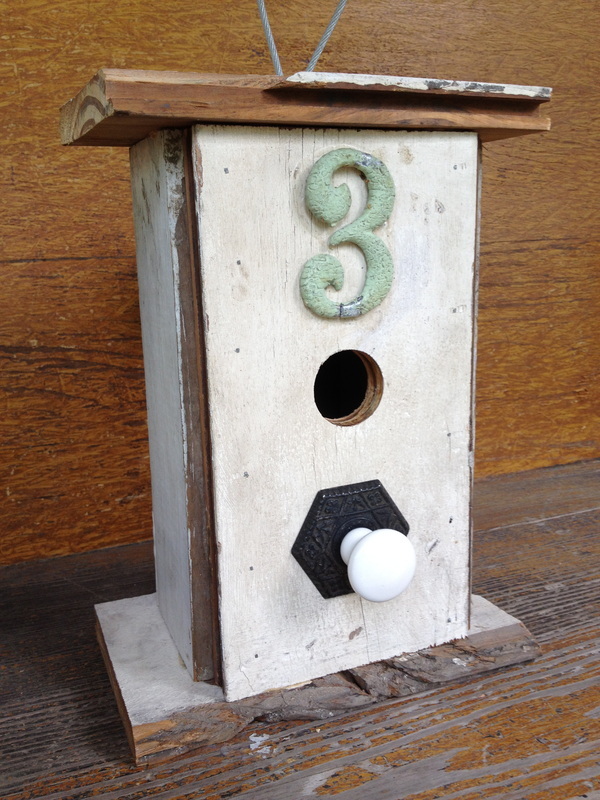 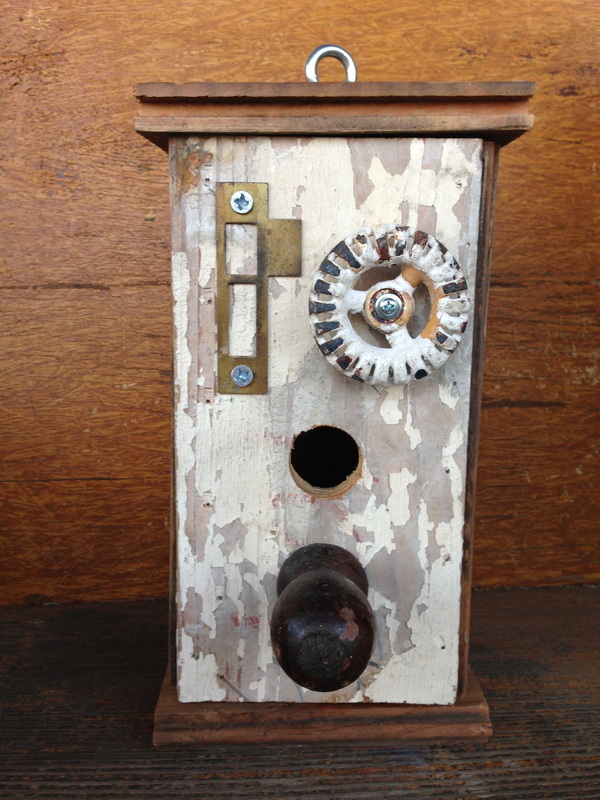 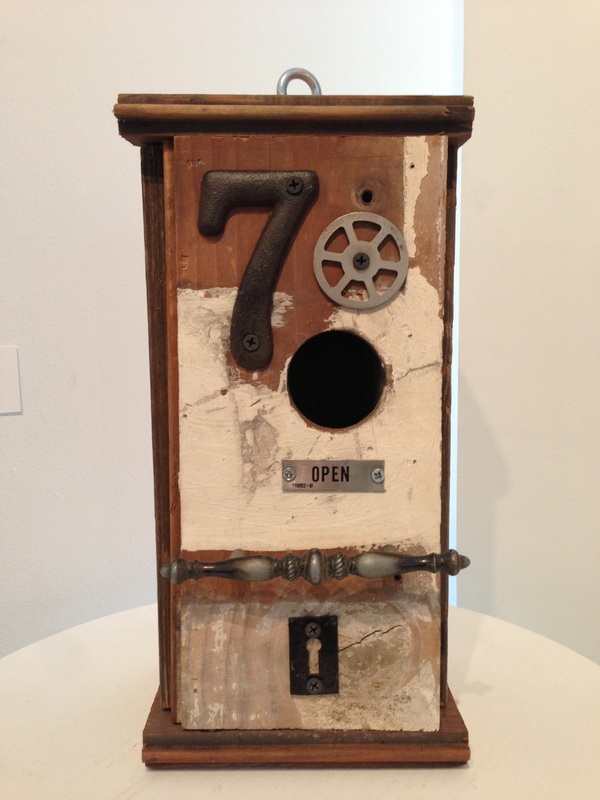 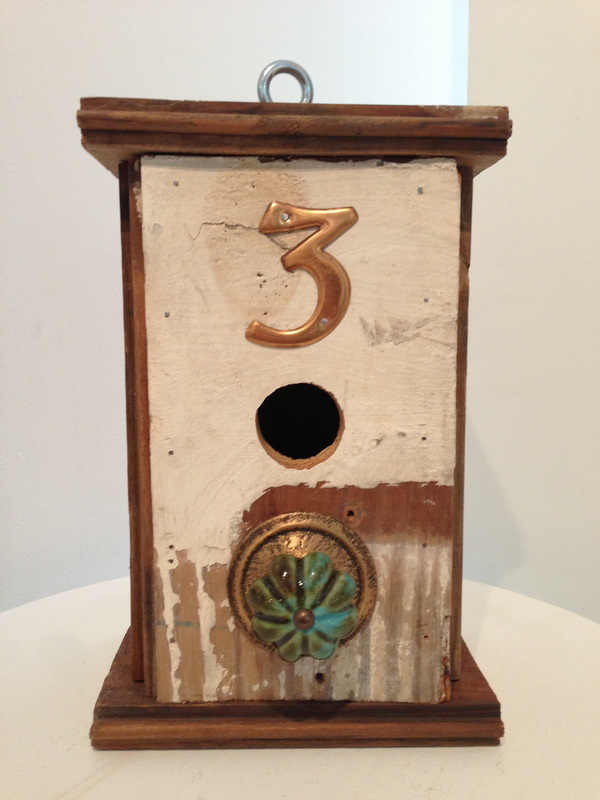 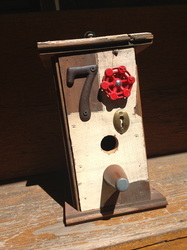 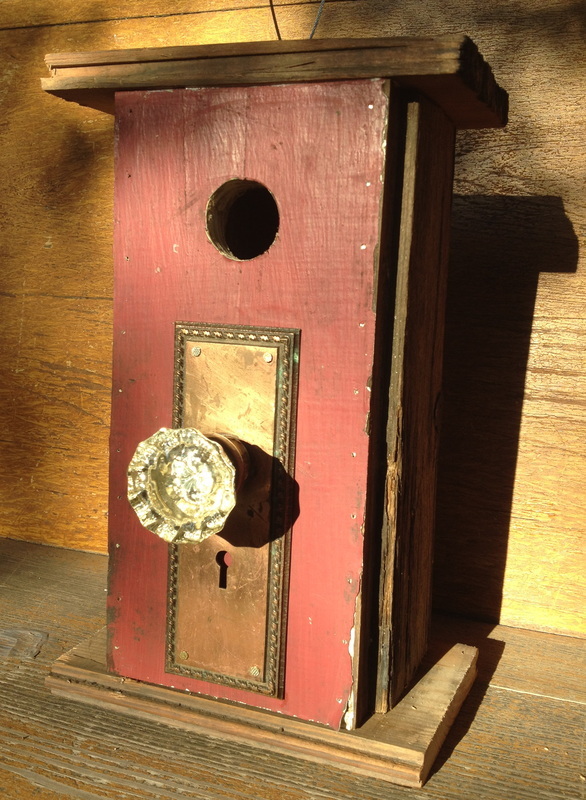 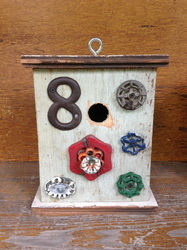 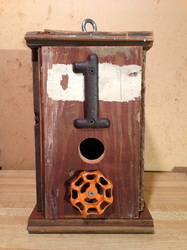 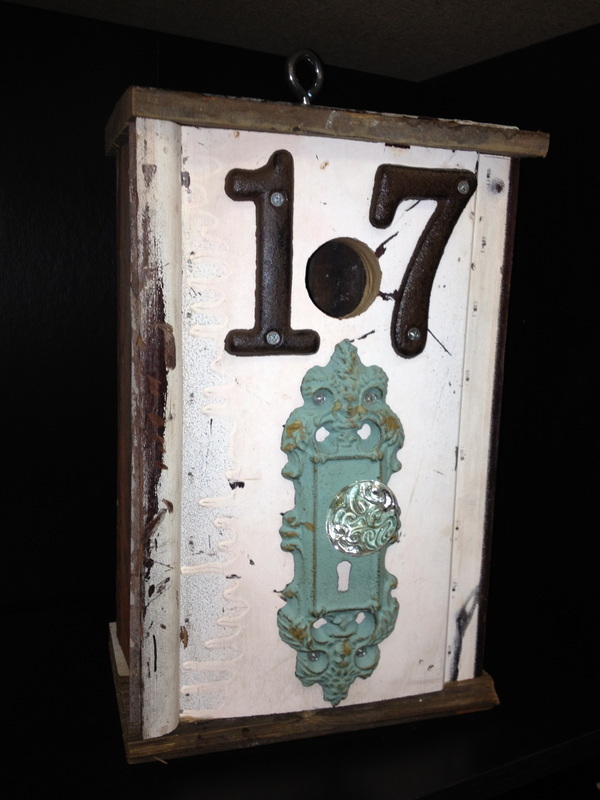 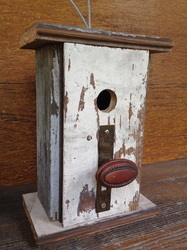 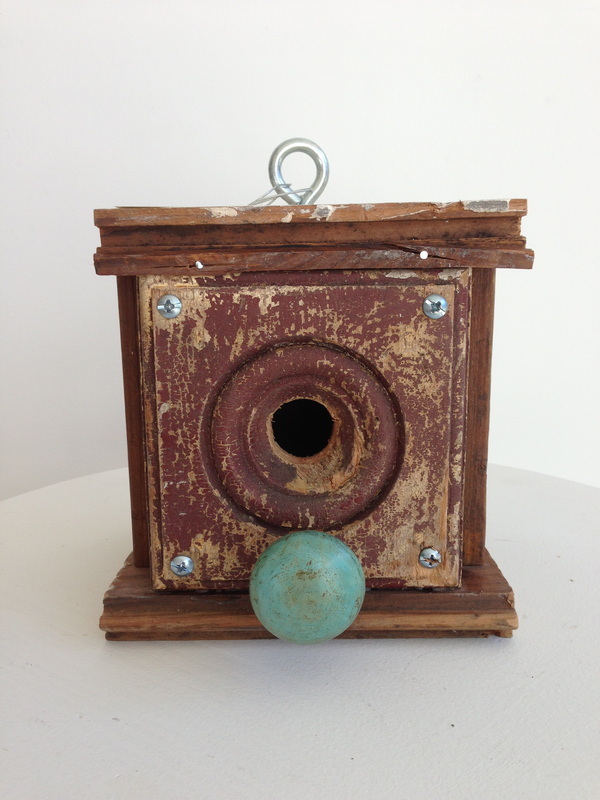 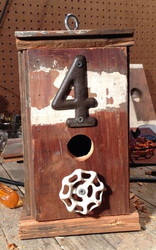 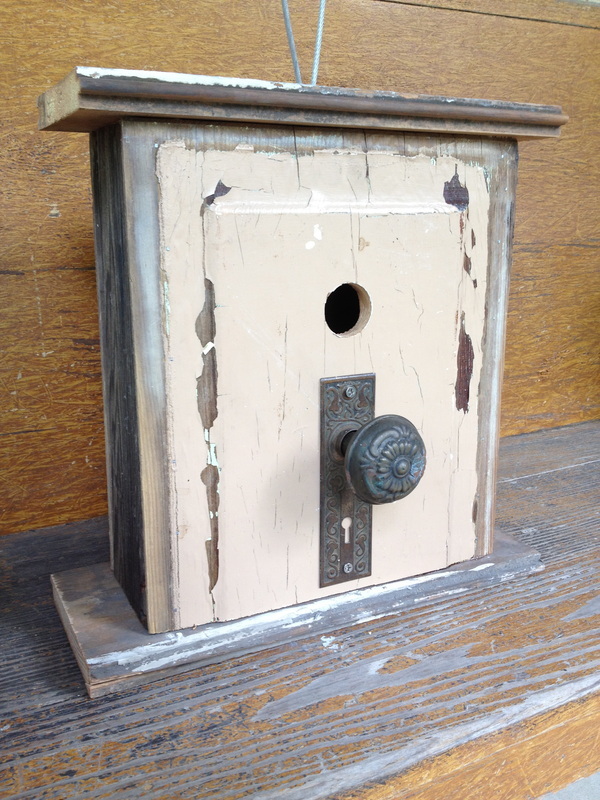 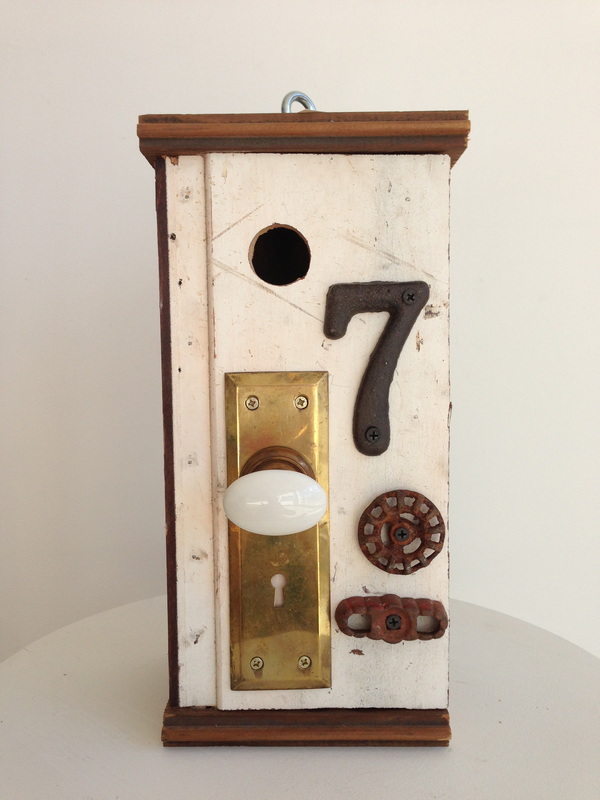 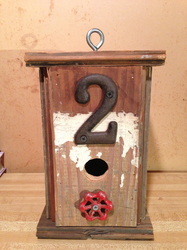 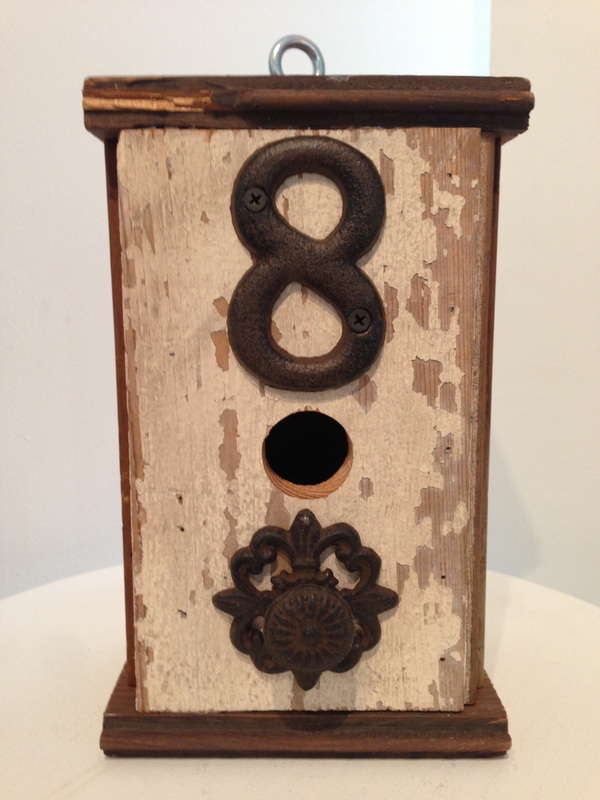 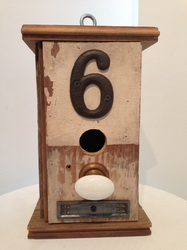 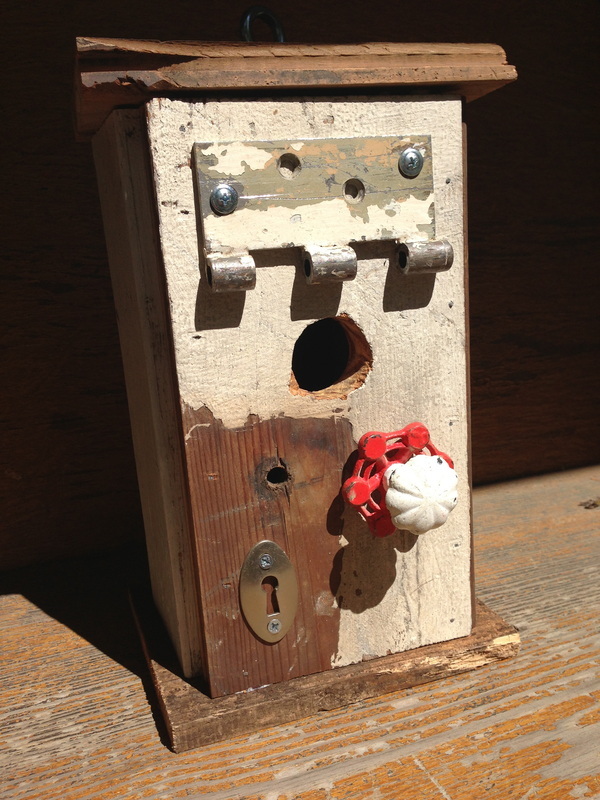 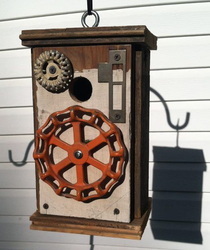 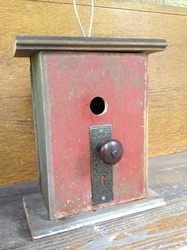 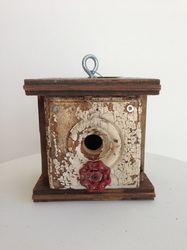 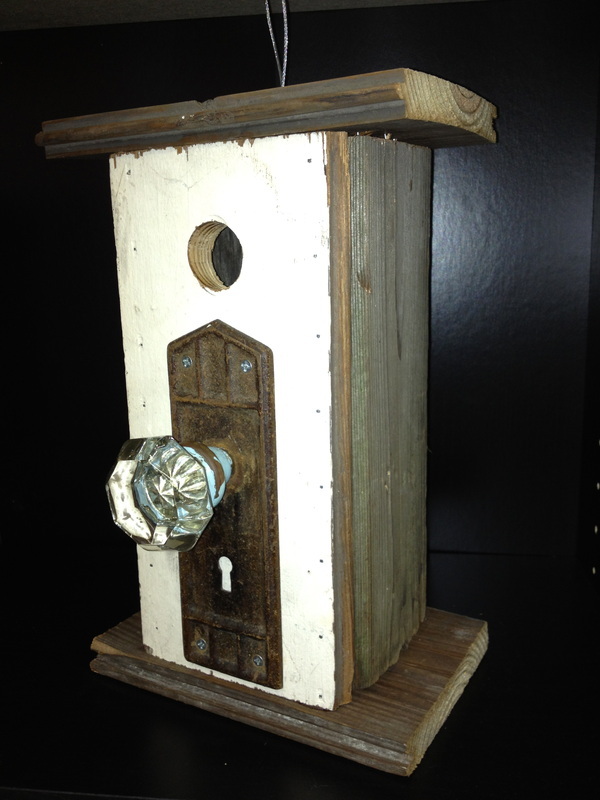 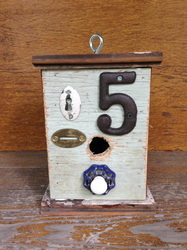 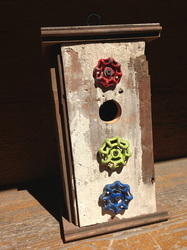 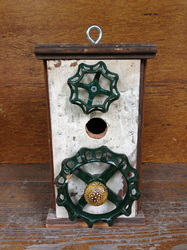 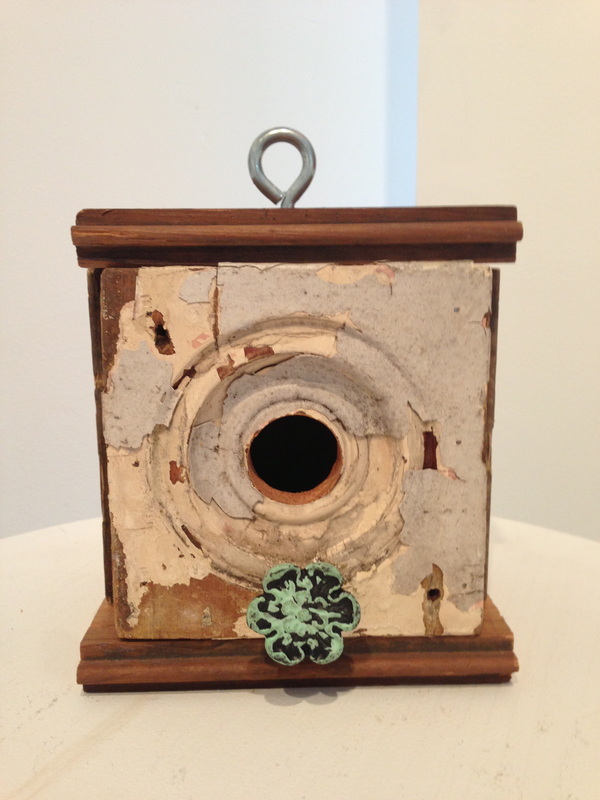 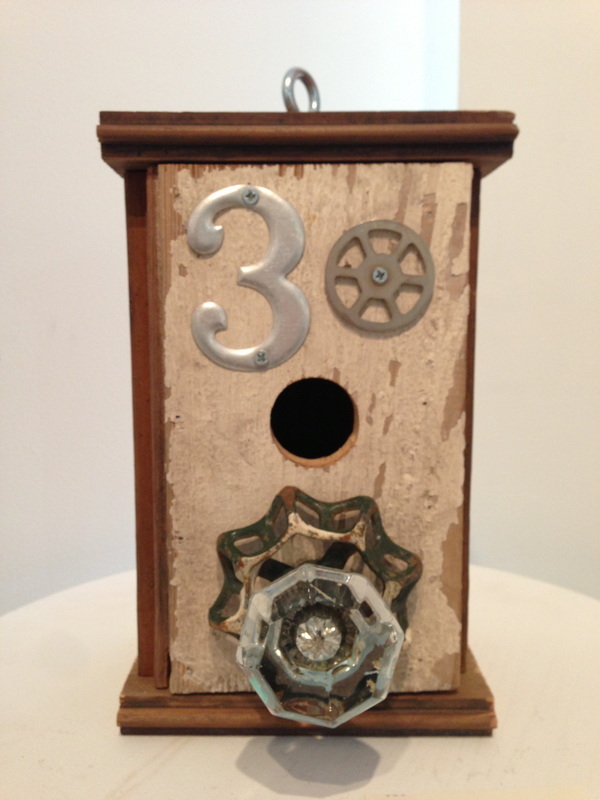 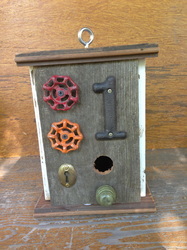 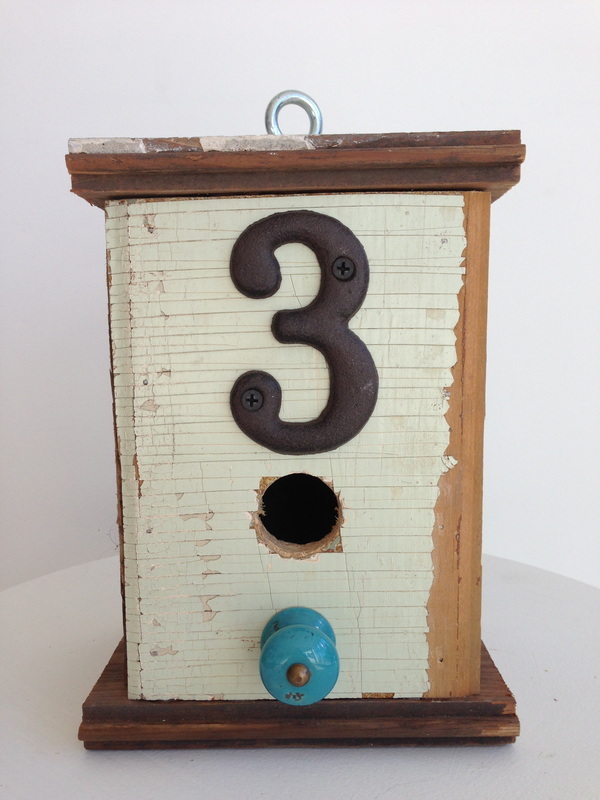 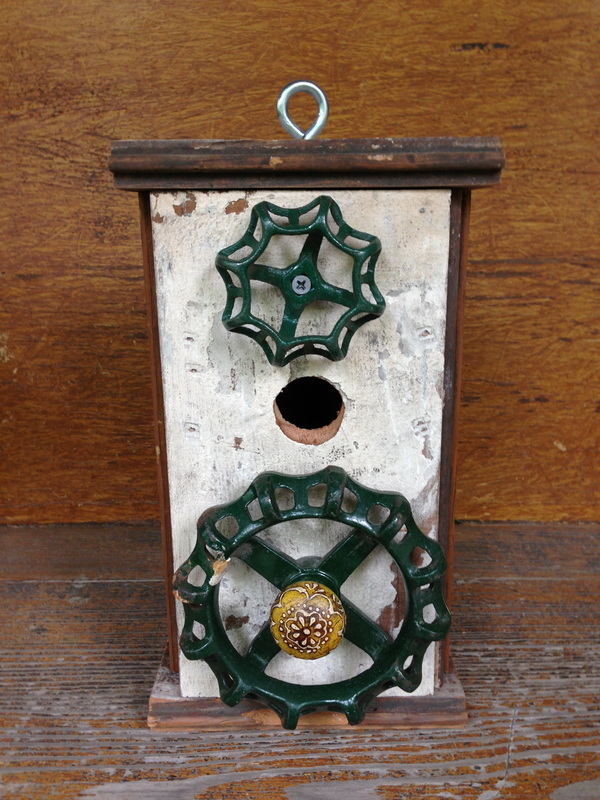 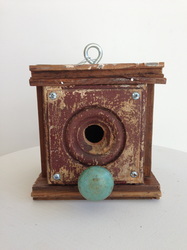 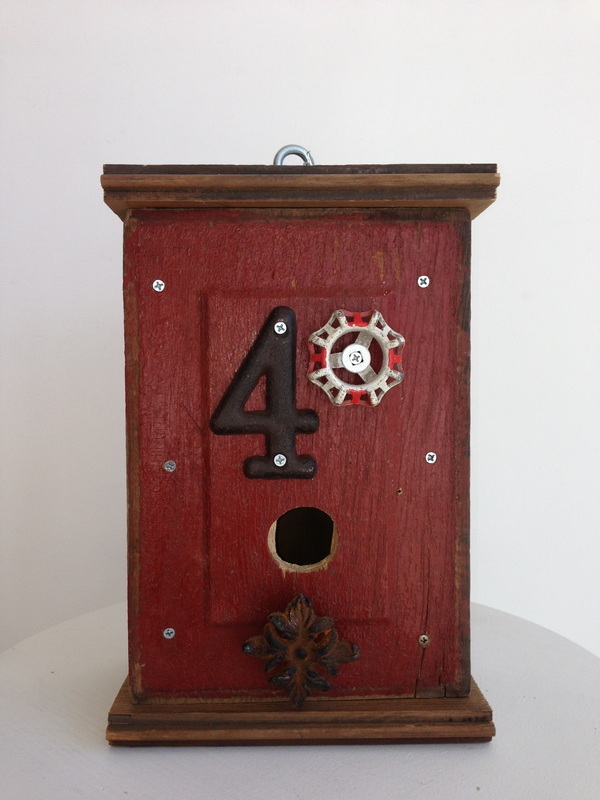 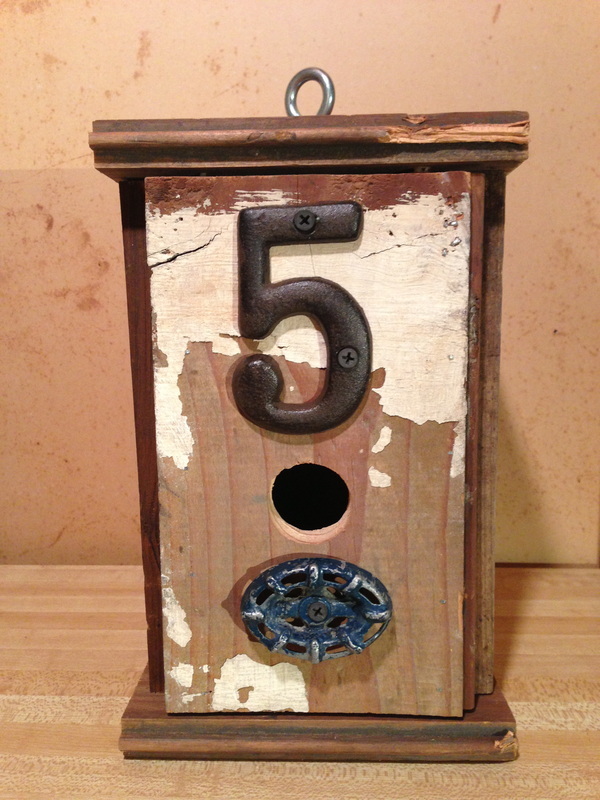 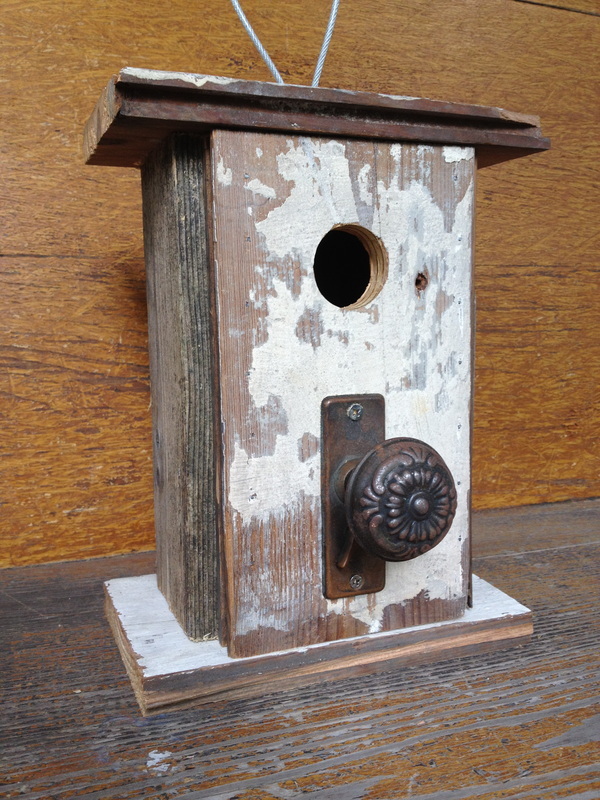 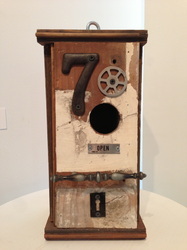 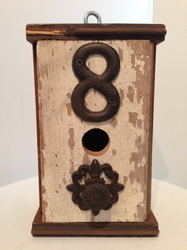 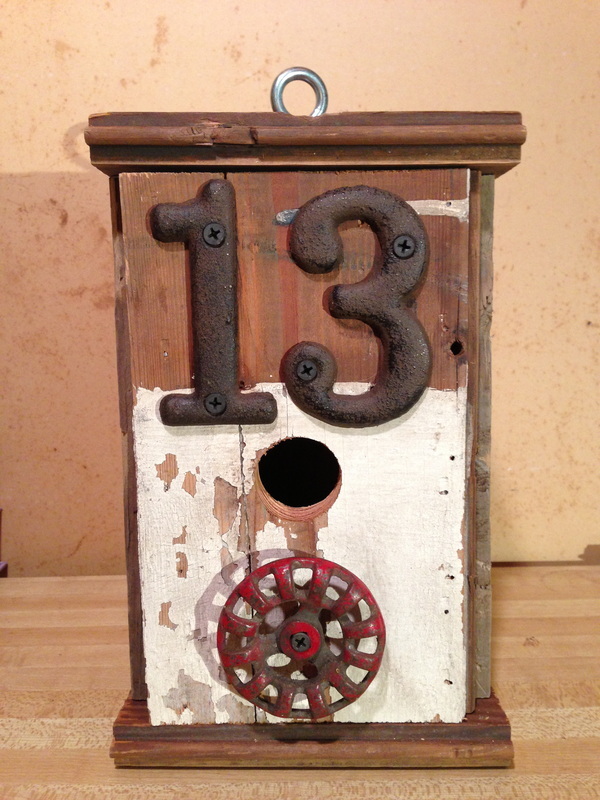 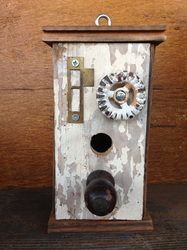 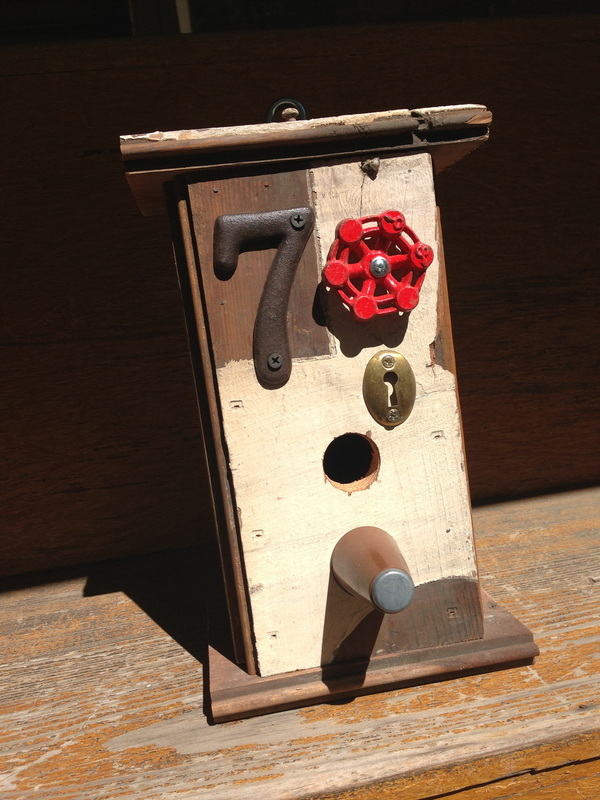 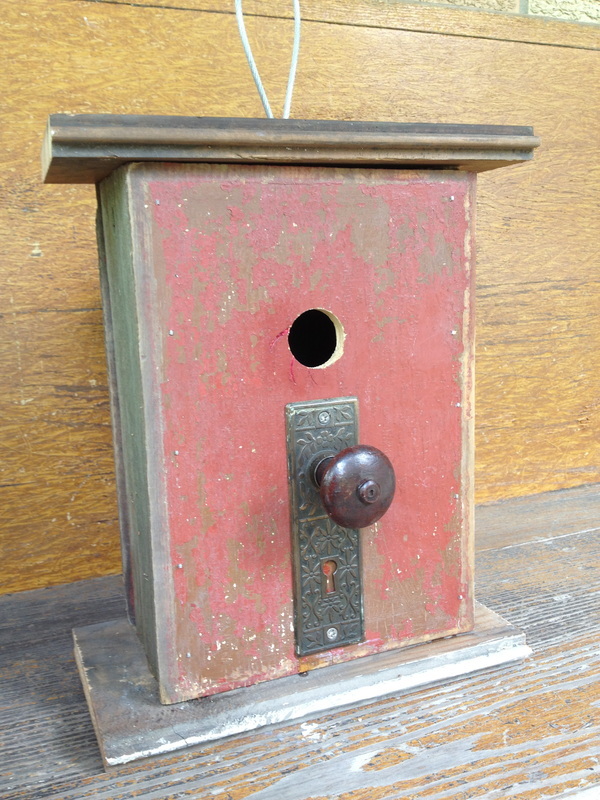 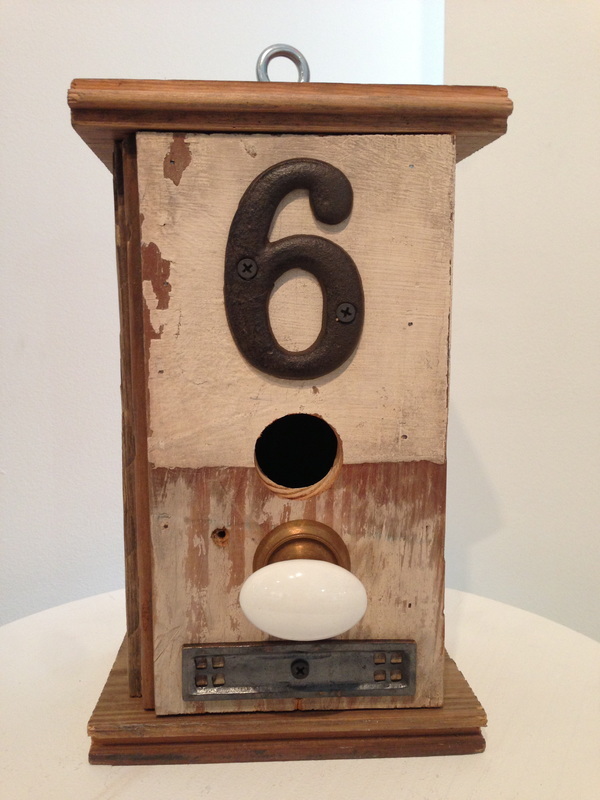 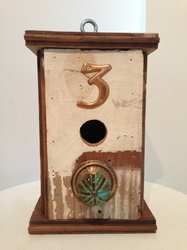 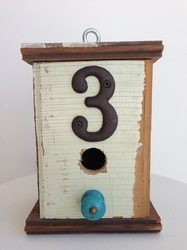 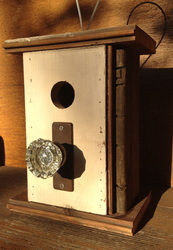 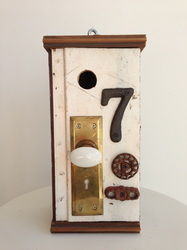 All Humble Abode bird houses are made by hand with 100% recycled and repurposed materials. 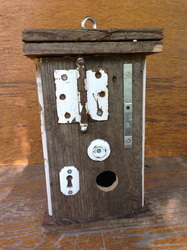 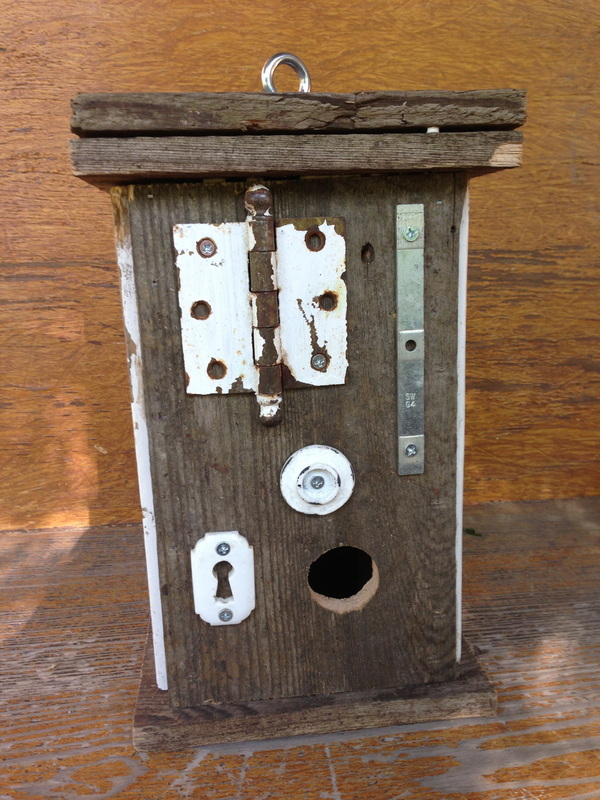 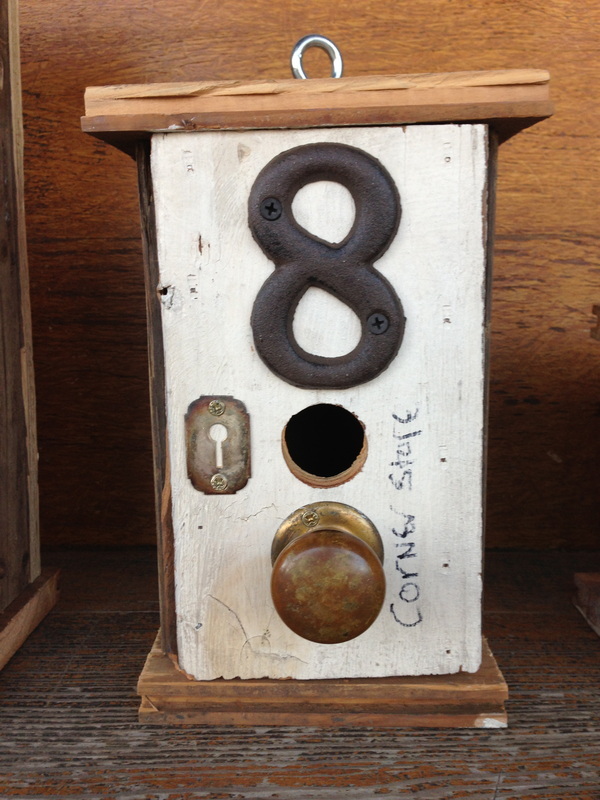 Each Humble Abode bird house comes with a life-time guarantee, that is, if something breaks, send it back and I will fix it. 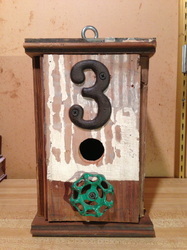 Click the images for a larger view and pricing. 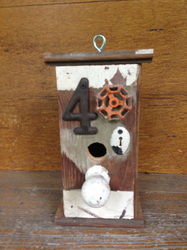 To purchase, simple contact me using the "Contact Me" feature of the website and we will take it from there.